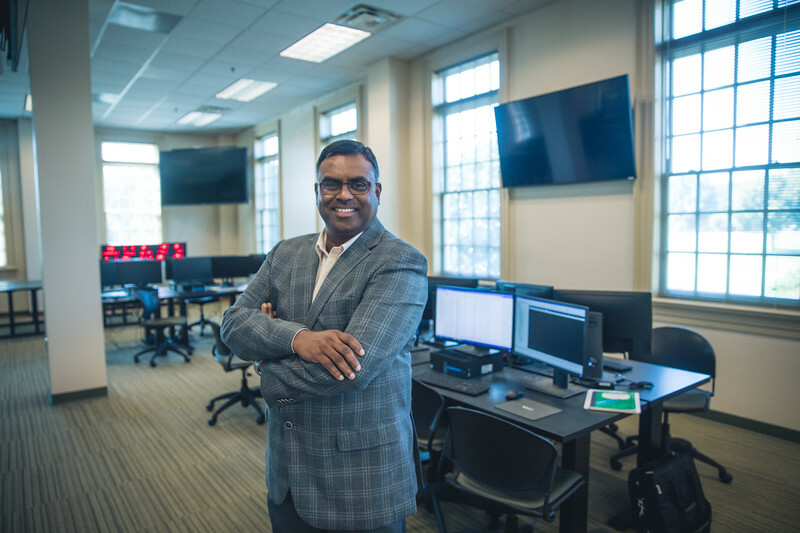 College of Arts & Sciences (CAS) assistant professor Dr. Deva Henry began at Regent University in Fall Semester 2017, but he’s already part of the team responsible for launching one of the most innovative enterprises on campus: the Cybersecurity Simulation Lab. As one of the leading professionals in the realm of cybersecurity, Henry shared his thoughts on the cross-section of online learning and data-protection. Q: What is your role at Regent University? A: I’m the Executive Director of the Institute for Cybersecurity, and I’m here to develop new engineering programs to be launched next year. Q: More and more in the higher education market, and even in our own experience at Regent, online education is trending. In light of this, in your field of cybersecurity, what are some practical ways a student would benefit from learning online? A: In general, online education is a boon to students who are unable to be physically present in the classroom and at the times those classes are scheduled. Cybersecurity graduates are in high demand since there are many open positions that companies wish to fill. Given this situation, the very fact that we offer B.S. and M.S. degrees in Cybersecurity online is a huge benefit to students who wish to pursue these degrees. Q: Are there any cross-overs between cyber security and online education? If so, how do they mesh? A: We recently launched our very own Cyber Range, a world-class cybersecurity simulation and training facility. We will offer hands-on training and experience to our cybersecurity students, which will prepare them in the best way possible for cybersecurity situations that they are likely to face in the real world. In addition to providing this valuable experience on campus at Regent, we have the ability to provide the very same experience to our online students as well, who can connect virtually to our Cyber Range. With the 24/7 globally distributed nature of today’s security operations, our students get exposed to this very same environment even before they graduate! Q: What are some ways you believe Regent makes learning online easier for those who might be resistant to taking the next step? Regent offers training and provides a variety of resources to make students comfortable in the online environment. Every course at Regent, whether it is an online course or not, is delivered through an online Learning Management System. This ensures that the core learning experience of accessing course materials and submitting assignments are similar for both online and on-campus students.